WATER: Drink one glass of clean water every hour with eight drops of crystal energy. Use a high quality water filter bottle that will filter the airplane water. Using the Safe Space Food/Liquid Energy Card will restore vital life force to the water and help to clear toxins. CAFFEINE: Avoid liquids such as alcohol and soft drinks, coffee and black tea, which cause blood congestion. Stick to fruit juices and water until on the ground. SUPPLEMENTS: Use antioxidant supplements to minimize radiation and other free radical stress. Chlorella, high quality algae, wheat grass and green food supplements can be helpful in protecting against radiation and reducing brain, body and adrenal stress. EMF PROTECTION: Bring or wear an emf protection item with subtle energy protection to help reduce stress. An airplane produces EMF and now with WiFi and electronic use - you are surrounded with EMF. Try a Vitaplex pendant or Safe Space II. MELATONIN: Use melatonin for jet lag time zone adjustment. A low dose melatonin one hour before bed can be helpful. To help adjust your biological clock, go to bed at the normal time for the new time zone and awake to get early daylight. EXERCISE: Exercise during your flight. Get up and stretch and walk if your flight is many hours. Increase oxygen by breathing exercises before flying and using stabilized oxygen water. radiation. 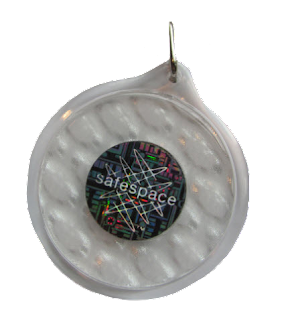 The protective field of the SafeSpace II helps guard you against the toxic effect of electromagnetic fields (EMFs), Wi-Fi, geopathic stress zones from earth radiation, and environmental stress. Combat Wi-Fi saturated environments like planes, trains, and cars. Shield from ambient toxins to minimize fatigue. Hang on your backpack, purse or computer case. Electromagnetic fields (EMF) in our environment can affect the way we think and feel. They influence our metabolic processes and our overall health. 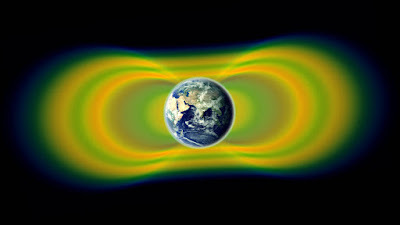 Highly disruptive energy fields from high tension wires, industrial radar, microwave beams, electric current, computers, televisions, cell phones, fluorescent lights and other electrical appliances can numb or dull our sense perceptions and adversely impact brain wave activity. The protective field the SafeSace II sets up around your body reduces the toxic effects of harmful electromagnetic energies and a host of other ambient threats. And by keeping your body’s subtle energy and electrical system in balance, it helps you stay energized and strong throughout the day. Keep it on your body—ideally in a pocket. The SafeSpace products have been thoroughly tested and repeatedly confirmed effective via kineseology and electro-diagnostics. The beauty and whimsy of peonies is coming. A garden myth is it takes ants to facilitate the blooming of peonies. 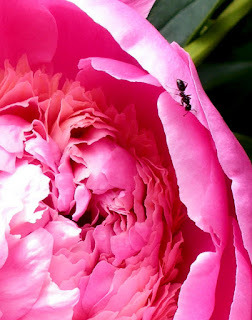 Ants are attracted to, and eat the sweet nectar secreted by the peony bud. Ants do not harm the plants, and the plants do not require ants to open. You can cut the buds and take them into the house and let them open inside. Or before taking peony flowers into your house, you can turn them upside-down in a bucket of water to get the ants off. (DYI) Ants are a constant problem, both in the home and in the garden. Although chemical poisons are the standard solution, not everyone wants those poisons near themselves, their pets, their children, and the food they grow at home. There are options to cut down on ants in the garden that don't put your health at risk. There are a number of herbs that naturally repel ants. By planting these herbs in your garden, you can cut down the presence of ants. Plant them around the areas you specifically want to protect or near doors and windows to keep them from entering your home. Anything pungent, such as basil or sage, will help repel ants when planted around your garden. The following herbs work particularly well. Ants hate mint, especially peppermint. This makes it a great deterrent. The only complication is that mint is an insidious grower that will take over any ground it is placed in. So, choose locations for mint carefully and monitor its growth if you don't want it in your entire garden. Growing tansy will work much the same way growing mint does to deter ants. It also produces lovely yellow flowers on tall stems that can be a good compliment to your flower garden. Unfortunately, it grows and spreads to fill an area almost as fast as mint, so be careful when planting and caring for this one. Pennyroyal is used in repellents for a number of different types of insects, including ants. As a relative of mint, it does tend to invade the entire garden if not kept in close check. However, the sweet scent and soft lavender flowers in season may make growing pennyroyal worth the extra work to restrain it. There are a few flowers that are known to deter ants from their area. One of the best known is the marigold. Plant a few of these around the borders of your garden or near plants you want really well protected. Marigolds have the advantage of minimal expansion. However, they are annuals that have to be replaced yearly. If you're a coffee drinker, don't throw out your used grounds. Coffee grounds have two uses when added to your garden soil. Nutrients in your coffee grounds will feed your plants, and the caffeine will repel ants. Sprinkle a ring of grounds around a tree or plant you specifically want to protect. Or, till some coffee grounds into the soil around the boarder of your garden. Another item to add to the soil around your plants is citrus peels. Grind peels from any citrus fruit up to release the oils that repel ants and make it easy to distribute evenly. Add it to the soil in a circle around a specific tree or plant much like with coffee grounds. For even better success, try combining citrus peels with coffee grounds. That might sound like a poor reason to sprinkle cornmeal around, but in fact it's an excellent one. Ants love the sweet taste of cornmeal, but cannot digest it. If you want to starve them out rather than just deter them, sprinkle cornmeal around your garden, or near the entrance to any ant colony you can find. Ant activity will spike for a few days, but should decrease after that. Add more cornmeal after it rains and whenever you see more ants. Need to get rid of fleas? Try banana peels. Vampires Beware: It's National Garlic Month! What's so great about our Yes Supplements? Natural Healing Tools NEW Store!